Ashfield Meetings & Events and Green & Pleasant will go head to head in a 'large versus small agencies' debate at C&IT's Agency Forum, joining confirmed speakers from L'Oréal, ITV and Roche. 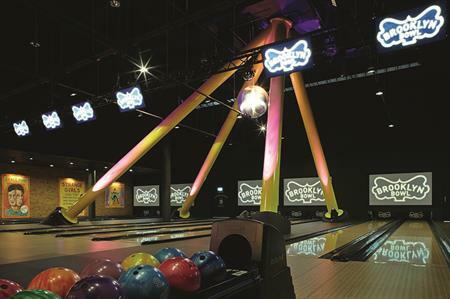 The three-day event will kick off with activities including a visit the Muhammed Ali exhibition at the O2 and drinks reception followed by an evening at Brooklyn Bowl (pictured). The forum will take place on 4-5 August at ExCeL London with a gala dinner on the Thursday evening, in partnership with London & Partners. There are a few spaces still remaining so don’t miss out on the opportunity to attend this key industry networking event. Click here to find out more about C&IT Agency Forum 2016 and book your free place. Topics up for debate and discussion include clients' pitch expectations, event security, talent retention, protecting IP and the merits of small and large agencies, which will feature Green & Pleasant managing director Frances Green and Ashfield Meetings & Events . Sessions include: 'The Power of Brand You', on how to develop personal branding and 'The Pitch Factor: What Makes A Winner? ', where representatives from L’Oréal, ITV and Roche will be sharing their views. There will also be a series of interactive workshops on offer, including Event Security and Crisis Management, Talent Management: Recruiting And Retaining The Best, and Protecting IP While Protecting Your Relationship. C&IT TV: What's the craziest client request you've ever received?